In 1911, Hubert Richardson and his brother C.D., erected the Cameron Trading Post. After the installation of the Swayback bridge over the Colorado River, an official place to trade was needed. At that time, it was a location frequented by the Hopi and Navajo Indians. They bartered supplies for dry goods. Today, it is an attraction visited by thousands each year. If you have a passion for historical places, and want to see something unique during your Grand Canyon visit, you have to see the Cameron Trading Post. Upon arrival, you will be instantly transported back in time. In its earliest days, getting to the structure could take travelers several days. That is, if they traveled by horse. While their primary activity was trading, the Richardson brothers were trusted by the locals. They knew their customs, their dialects, and respected their social system. When people visited the post, the brothers were highly hospitable – providing them with meals, lodging, and other accommodations. Now, nearly 100 years later, the same level of hospitality exists. The Post serves as a motel, a shop, and a restaurant – all of which are Native American-themed. If you are interested in visiting the historical Cameron’s Trading Post while at the Grand Canyon, there are tours that include this location. 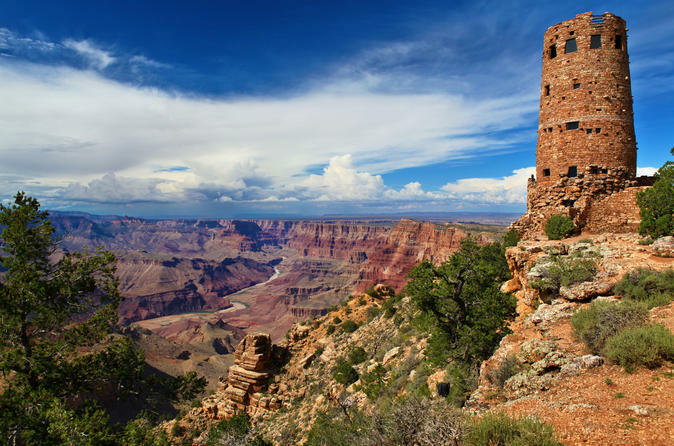 The Grand Canyon is not only a geological wonder, but, is also rich in Native American history. If you want to enjoy the best of both worlds, this is the perfect tour for you. 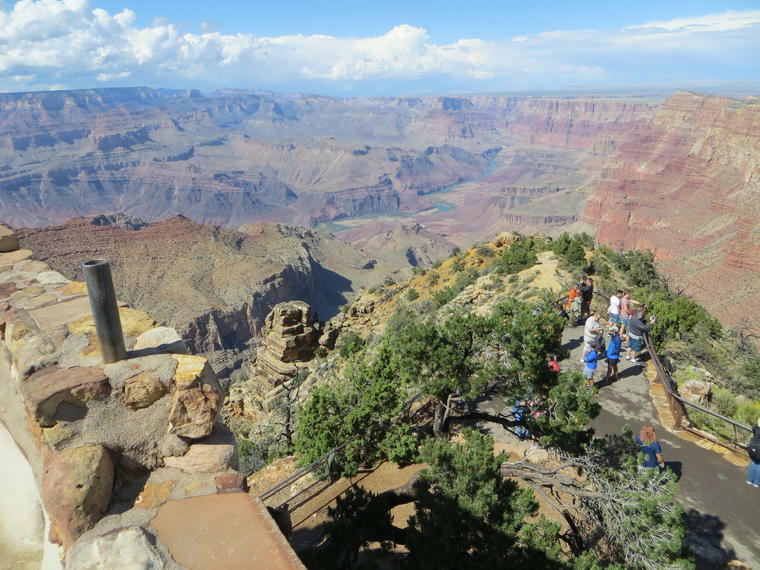 This unique tour allows you to visit both the East and the South Rim. Once you depart from Flagstaff, you will have the opportunity to explore a multitude of magnificent viewpoints, visit the Grand Canyon Village, and stop by the Cameron Trading Post on the return back to Flagstaff. This tour lasts about 8 hours. This tour allows you to view the spectacular Red Rocks located in Sedona, visit a real reservation where true Navajo Indians reside, and a multitude of picturesque viewpoints. You may start this tour in Phoenix, Mesa, Scottsdale, or Tempe. In the beginning of the tour, you will get to visit the historical Cameron Trading Post, which is located on the reservation. Here, you will enjoy a truly delectable lunch and have the opportunity to view and purchase a large assortment of crafts and artifacts. Additionally, you will have the opportunity to view the Hopi House created by Mary Colter.